With no plans to breed here in Canada for the next few years, my non-contract VDL doses are simply sitting in storage and I would rather see them being used. Shipping at buyers expense. In sport Wittinger performs very well. 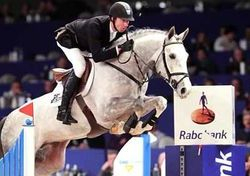 He strikes everyone with his powerful canter, great scope and his good technique of jumping. Zapatero’s offspring have attracted attention in the show ring. They exhibit reflexes, technique, attitude and scope. Under Jur Vrieling he has achieved several very impressive international results. 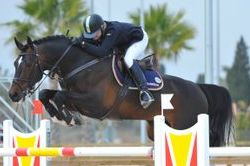 Not only in sport but also in breeding Zirocco Blue is exceptional.